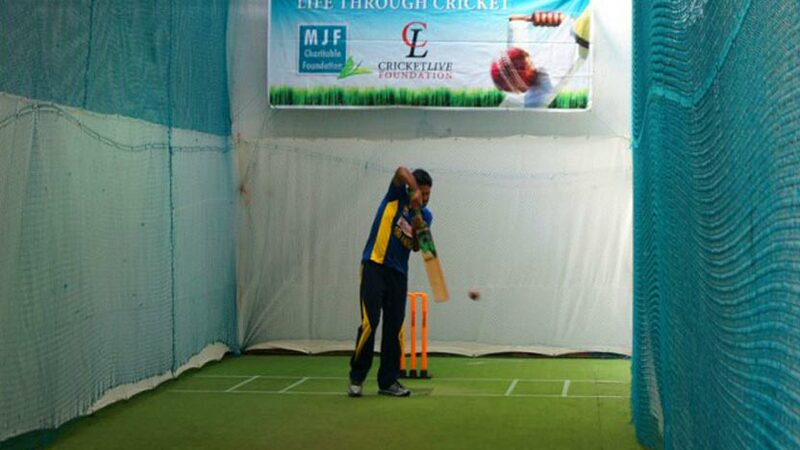 The MJF Charitable Foundation (MJFCF) together with Cricket Live Foundation jointly initiated the Life through Cricket programme in January 2014. 48 Kids from underprivileged homes in and around Moratuwa including 12 Kids from the MJF Kids programme at the MJF Centre in Moratuwa are currently a part of this unique initiative. In order to ensure facilities for continuous training immaterial of adverse weather conditions the MJF Foundation also undertook took to refurbish the indoor cricket training nets facility at the De Zoysa Cricket stadium in Moratuwa located just opposite the MJF Centre. The refurbishment of the indoor nets at the stadium was completed and formally launched for use to coincide with South African cricket tour to Sri Lanka on 3 July 2014. Sri Lankan T 20 Vice Captain Lahiru Thirimanne formally opened the indoor facility along with the Mayor of the Moratuwa Municipal Council.